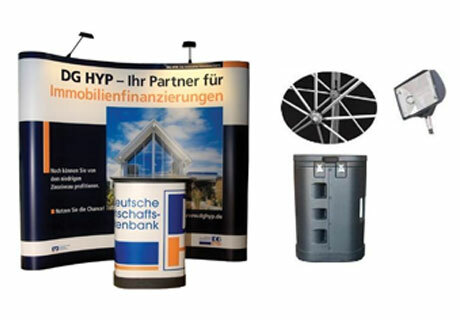 Network is a very compact and versatile pop-up system that is quick to set up at any location. Made in Sweden with european craftsman style. ( 2 or more displays ). Light weight aluminium frame which can be designed as curved or wave-shaped. 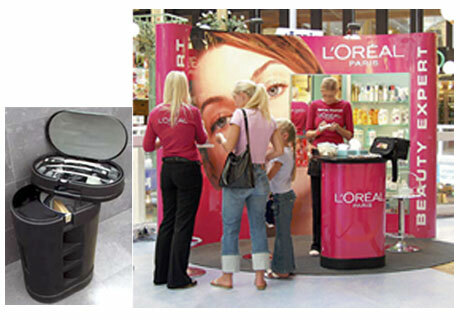 This pop up display is light weight yet very stable and easy to set up compare to other similar pop up displays. 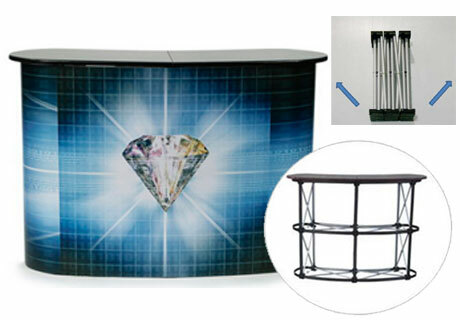 Aluminum curve shape pop up table with black countertop. This is a perfect addition to your trade show booth or sales promotion.